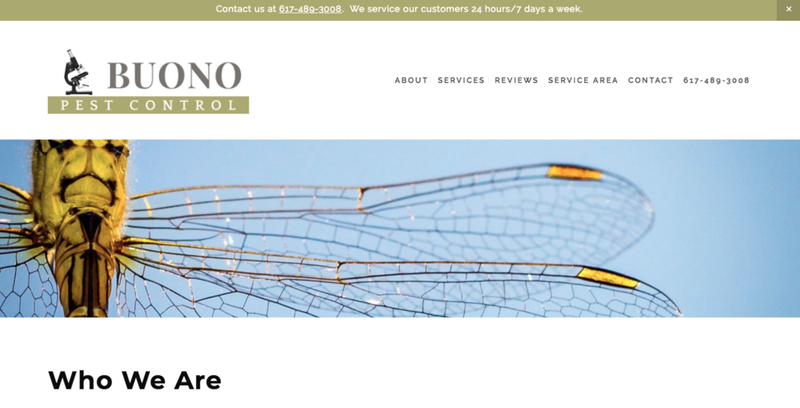 Buono Pest Control is a small, local business in Belmont, MA that specializes in pest and rodent control in the Greater Boston area and Rhode Island. 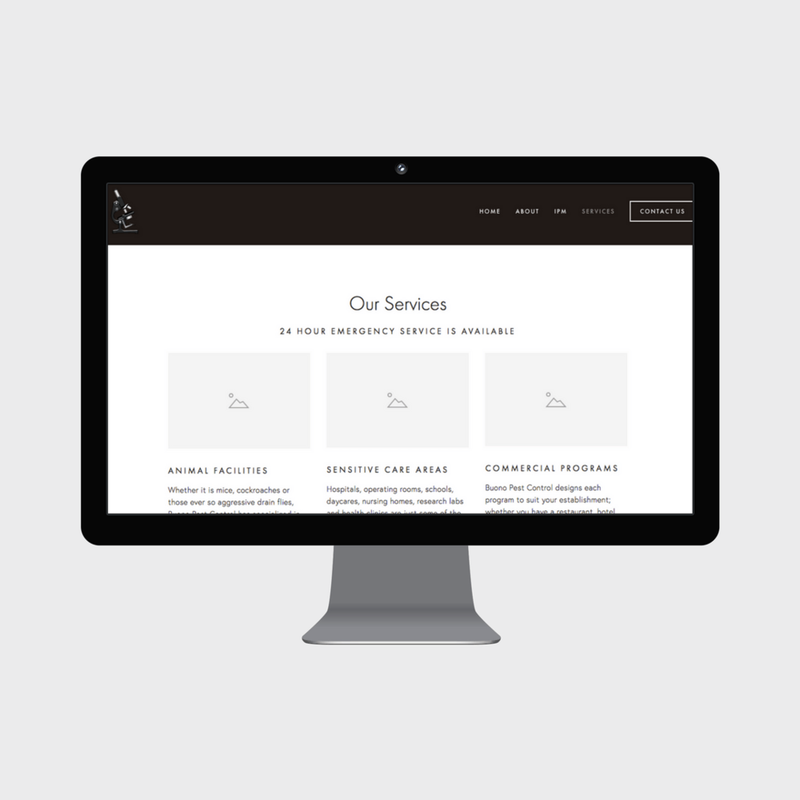 Already realizing the benefits of Squarespace, they wanted to makes some tweaks in order to maximize their site. After an evaluation, we changed the template Buono Pest Control was using to one that would allow them to have a parallaxing layered effect. We also introduced a new color palette and created graphics that coincided with their brand. We reorganized the content and designed a more visual landing page experience for their visitors. The homepage has a scrolling effect that leads visitors on a journey deeper into their site. We made sure that visitors were never left with dead ends, but instead calls to action were incorporated throughout. 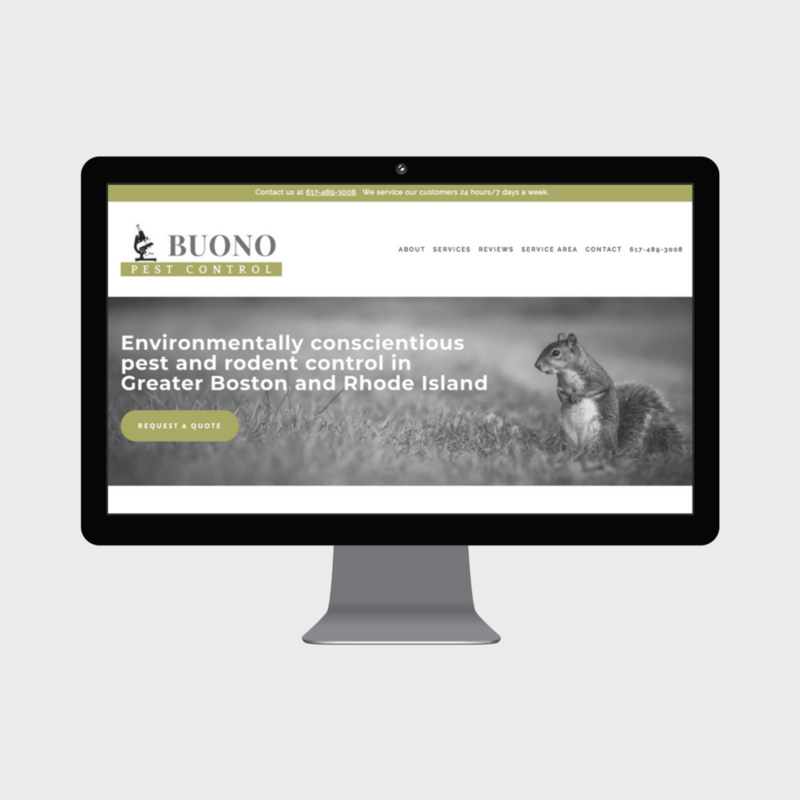 The professional video made exclusively for Buono Pest Control is now highlighted on their homepage as well as on their About page.